Get Back To Doing What You Love. Leave The Social Media To Us. Why Back At You Media? Everything from content creation to lead capture in one intuitive place. We'll set you up for long-term success and make sure you see consistent results. Our team of Social Media Experts is ready to guide you via chat, email, or phone. Enable total automation and reap the rewards. You've got better things to do! We’re a partner in the National Association of REALTORS®’ REALTOR Benefits® Program. 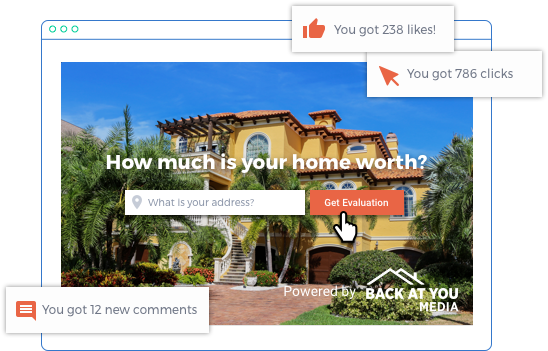 Our ad platform helps make sure your ads are fair housing compliant! 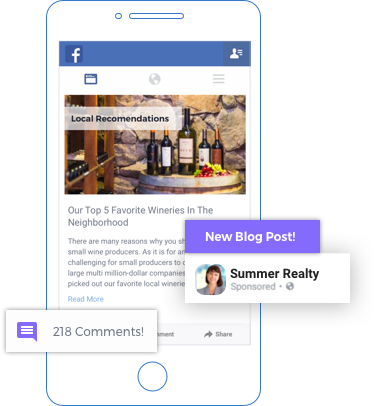 We are a badged Facebook Marketing Partner with ad Technology and FBX specialties. How Does it Work for Our Agents? 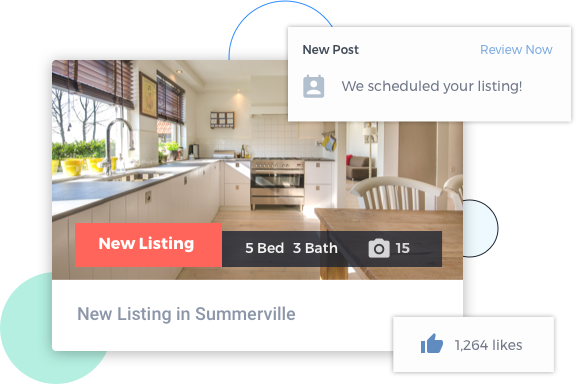 When you get a new listing, our Social Media Center immediately creates a dedicated website for it, and promotes it on Facebook, Twitter, and LinkedIn. You don't need to do a thing! 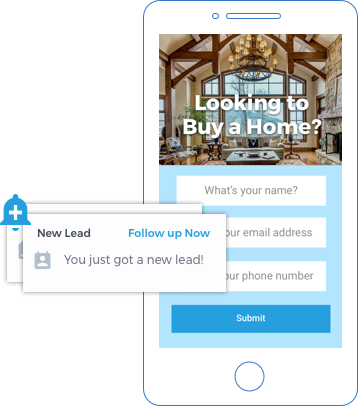 Be able to capture leads at every turn with mobile-optimized landing pages that can be customized and leveraged in a variety of ways. Our Ads Team will launch a hyper-targeted ad campaign to deliver you a stream of seller leads month after month. Our ever-growing content bank contains thousands of pieces in 50+ categories of market data, videos, branded blogs, and more. Get exposure for your brand without appearing automated! 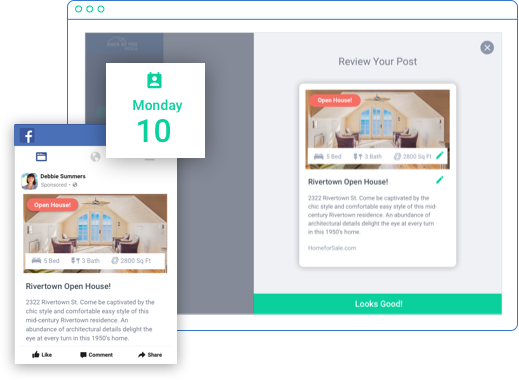 If you own an office or a company and your agents are missing the mark when it comes to social media marketing, it's time for a change. Use Back At You Media to handle the tedious parts and give them the tools to easily do everything else. 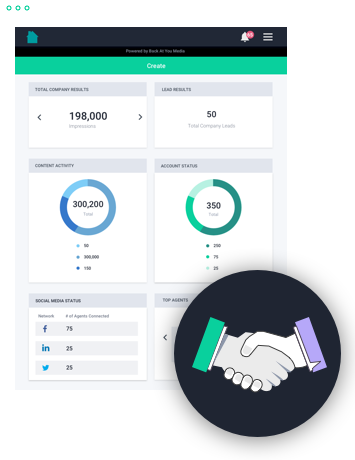 Most importantly, we also have tools that will immediately amplify the reach of your brand to market listings and recruit top talent.